The Health Equity Leadership Institute will enter its 8th cycle in June 2018. Since the first cohort in 2010, over 120 scholars have attended HELI. We work to track the progress of Scholars after they visit Madison through annual surveys and HELI ‘meet-ups’ at various national conferences. While all scholars have made strides in various arenas since attending their respective HELIs, some have done particularly notable work that merits special mention. Please continue reading to learn more about some of the good work of our HELI scholar alum! 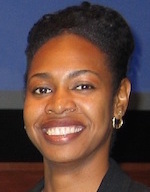 HELI 2010 alumna Earlise Ward, PhD, was recently appointed as interim Associate Dean of Academic Programs & Education Innovation in the UW-Madison School of Nursing! Dr. Ward has held a faculty researcher appointment with CCHE since 2012, serving as faculty director for our annual Health Equity Leadership Institute (HELI). She is a Master mentor with the National Research Mentoring Network and also serves as a fellow in the Committee on Institutional Cooperation (CIC) Academic Leadership Program and the American Psychological Association (APA) Leadership Institute for Women in Psychology. Having sought new avenues to contribute to academic leadership, “Serving as interim Associate Dean in the School of Nursing is a great opportunity with a great school and institution,” says Dr. Ward. Congratulations and best of luck with this position, Dr. Ward! HELI 2014 alum Olayinka Shiyanbola, PhD, has been awarded a June 2016 appointment to the UW Institute for Clinical and Translational Research (ICTR) KL2 Program! Dr. Shiyanbola’s research examines patient perceptions and roles in the quality of medication use and its impact on medication adherence, health literacy and the elimination of health disparities. Specifically, Dr. Shiyanbola studies the perceptions of illness and medicines among underserved populations. She explores how to utilize and interweave patient perspectives into the development of tailored patient-centered medication use interventions. Dr. Shiyanbola’s KL2 research project is entitled Development of a Culturally Appropriate Medication Adherence Intervention for African Americans with Type 2 Diabetes. She will use a health and social psychology approach and mixed methods to explore African Americans’ illness beliefs through qualitative focus groups, leading to subsequent adaptation of an illness beliefs questionnaire, and psychometric testing and quantitative survey to establish the questionnaire’s validity and reliability. Her goal is to lay the ground work for the development of a culturally-appropriate medication adherence intervention for African Americans with type 2 diabetes, setting the stage for large scale studies of intervention effectiveness, dissemination, and implementation across communities and practice settings. For her KL2 project, Dr. Shiyanbola will be working with various African American Community Partners in Wisconsin including a Milwaukee-based Community Advisory Board led by CCHE Affiliate, Ms. Gina Green-Harris. Ms. Green-Harris is Director of Milwaukee Outreach Programs & Services for the Wisconsin Alzheimer Institute. 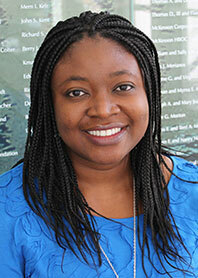 Dr. Shiyanbola is Assistant Professor in the UW School of Pharmacy Social and Administrative Sciences Division. Dr. Bereket is the only Pediatric Endocrinologist in Ethiopia and attended HELI 2011 as a Medical Education Partnership Initiative (MEPI) Fellow. Dr. Bereket is now working as an Assistant Professor in Pediatrics and Child Health and Addis Ababa University Medical Faculty. Included below is a documentary highlighting problems and challenges with type 1 diabetes in Ethiopian children. Dr. Bereket and some of her patients are featured. Well done, Dr. Bereket!